It’s impressive to think of how many adaptations we’ve seen of the stories by Stephen King to the point where some are now being remade. 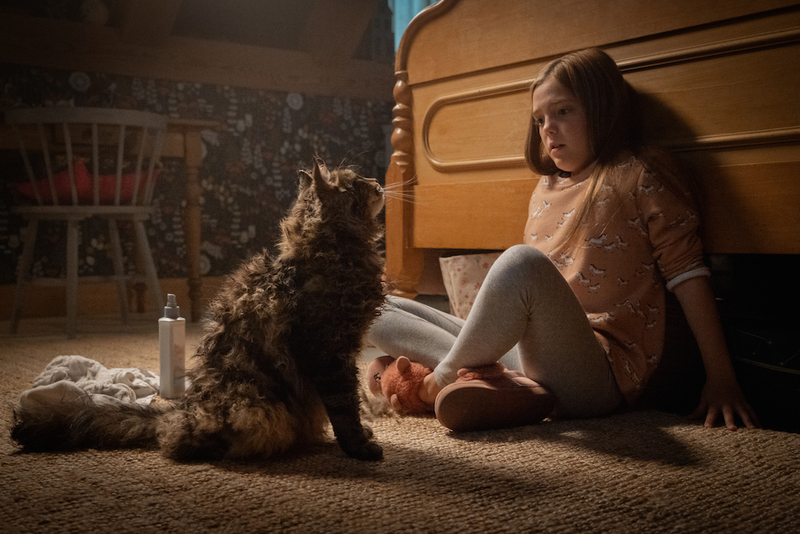 Pet Sematary has joined the likes of Carrie, It, and others that have gotten a redo. As with any remake or reimagining, it can be tricky to find a way to update the material properly. 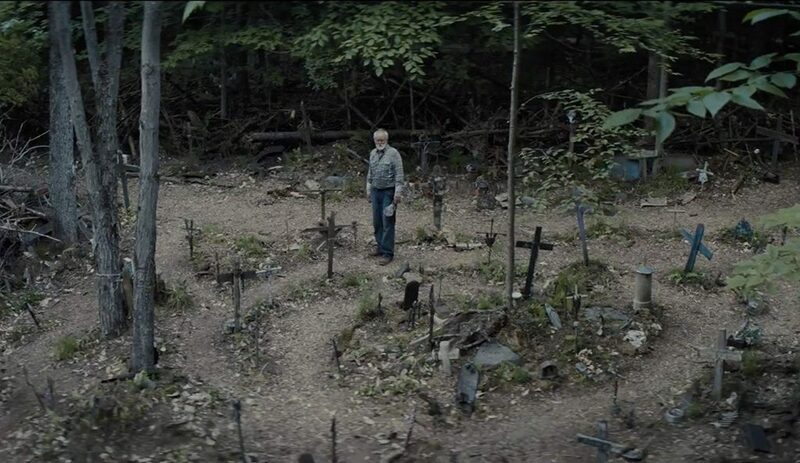 However, if a new Pennywise can stand alongside the memorable image of Tim Curry’s take, surely the King-scripted Pet Sematary from 1989 can find extra room in the graveyard for some fresh blood, thirty years later. The thing is, I’m just not sure anyone’s cracked the spell on making a proper movie out of this story. For this new movie, Jason Clarke is Dr. Louis Creed. 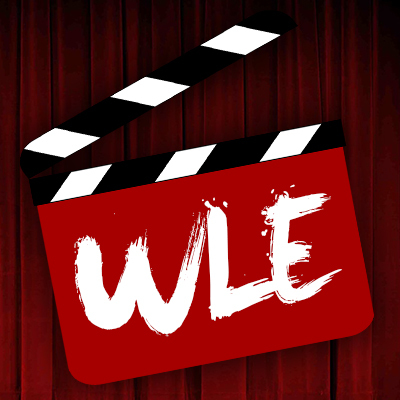 He and his wife Rachel (Amy Seimetz) have just moved into a large house in Maine with their two young kids, Ellie (Jete Laurence) and Gage (Hugo and Lucas Lavoie). 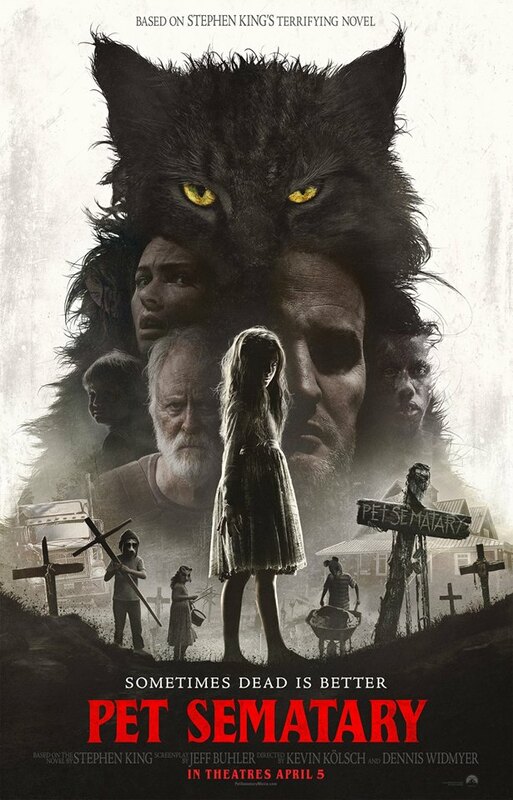 Ellie soon discovers an old burial ground in the forest behind their house, dubbed a “Pet Sematary” by kids with a predilection for wearing scary masks and throwing a procession when one of their animals dies. 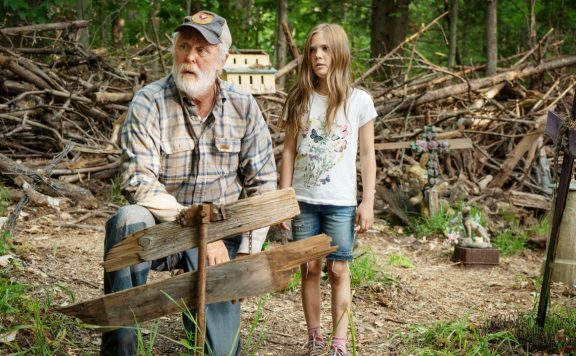 John Lithgow eventually arrives as Jud Crandall, who makes his new neighbors aware that this creepy area has a way of bringing things back from the dead. The problem is that the things that come back don’t come back right. Maybe it’s the nature of the source material or the overall hokiness of the premise, but I can’t seem to wrap my mind around the story that unfolds. It has happened to me with both Pet Sematary features now, although for different reasons. The first film had performance issues; not with Fred Gwynne in the Jud Crandall role, as he was spectacular, but with Dale Midkiff’s Louis, who shared no chemistry with Denise Crosby, and made his exasperation look quite silly. This 2019 take at least solves that problem by placing Clarke and Seimetz together, as the two are great performers. 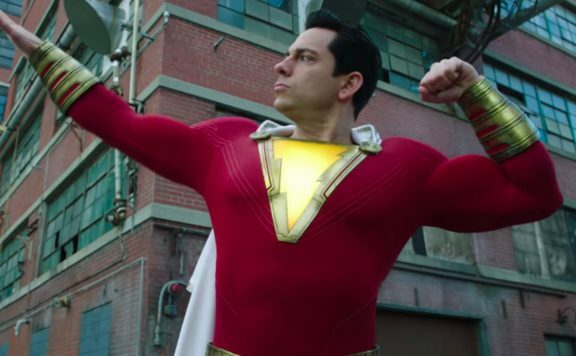 However, I still felt something left to be desired, following the film’s midway point where a significant event occurs and changes everything for the characters. 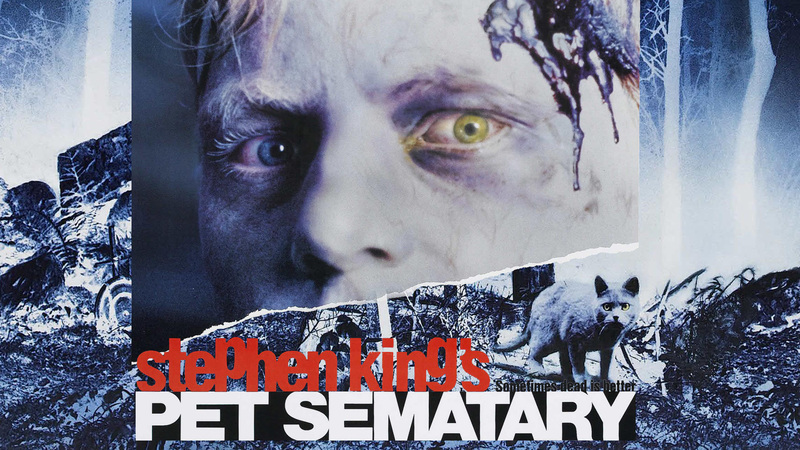 Ideally, Pet Sematary should work as a meditation on grief and guilt. Given how King’s story pivots toward some very dark scenarios, it would be great to have a film that throttles the viewer with a thick atmosphere conveying the eerie mood, with the specter of death hanging over the characters. Sadly, that’s just not coming through here. Directors Kevin Kolsch and Dennis Widmyer do what they can with the sets and locations they’ve found, but the choices made begin wearing thin after a while. There’s enough to admire in the sound design, clever editing choices, and proper control over jump scares, but the film felt more like it was merely hitting its necessary checkmarks the more it carried on. There are some effective attempts to unsettle the viewer and twist the story into new directions, which I won’t get into. It’s in these moments that the film feels the most alive, which are sadly too few and far between. 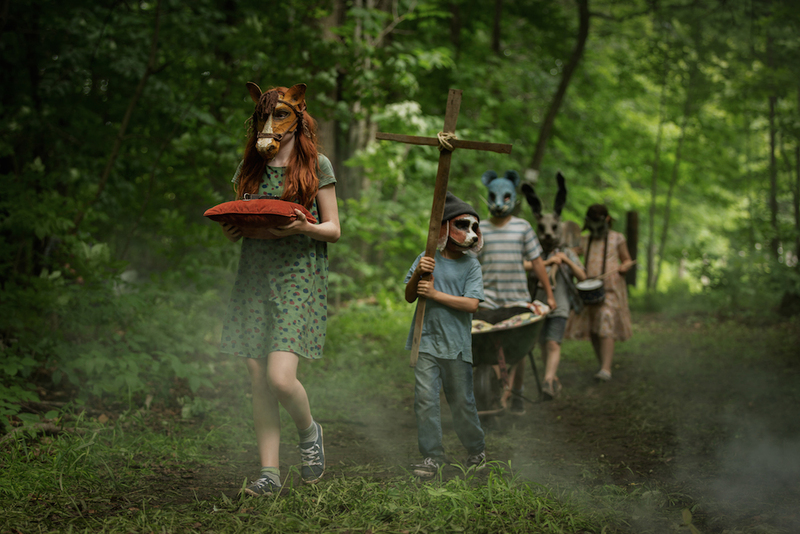 I liked seeing kids in creepy masks and wondered why the actual Pet Sematary wasn’t put on display more. A visual trick that has characters peering or walking through windows or doorways, only to appear in a much wider space is another exciting choice. Instead, there’s a sense of dread that simply doesn’t feel backed up by a story that’s awkwardly paced. Whether or not the viewer already knows this story, it was hard to buy into certain choices made by the characters. Part of that comes with the territory of a horror film, which is understandable. Other moments, however, should be backed up by a level of emotion that the film didn’t take the time to earn. Not helping is the fallout of these choices, as the setup of Clarke’s Louis, in particular, makes his character seem far too rational not to be more clued into at least some kind of logic that comes with his actions. 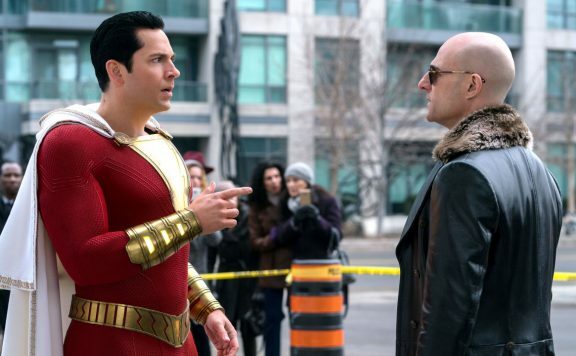 If I could buy into the emotional state he’s supposed to be in, that would be different, but the film wants to be in a rush when it should be settling down. At least Seimetz’s Rachel has a past trauma explored well enough to have me understand why she would freeze up in a given moment. With the lack of a stronger narrative, there’s at least a hope that the scares will be strong enough to work in the moment or linger. I have already mentioned some creepiness that comes from the imagery we see. Not afraid to get bloody when it needs to, the violence is vicious enough, without being overdone. I haven’t even mentioned Church, the Creed’s family cat, but he leaves an impression. Thanks to a good enough score by Christopher Young, there’s strength in the production as well. I wish the film didn’t feel so small, given that it’s a major studio production and not some indie horror being released by A24, but it also doesn’t try to complicate things too much either. If the goal was to produce a satisfyingly frightening horror feature, a serviceable job was done. I wish there were a stronger film to praise here. 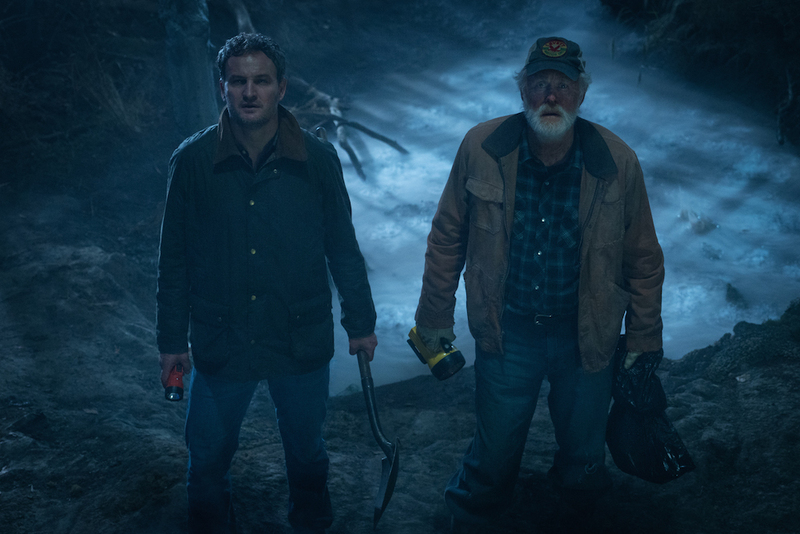 Pet Sematary doesn’t need to be a horror epic, but even as a chilling campfire tale, there’s more potential for leaving a viewer up at night. As it stands, you have a strong cast doing their best to bring new life to a dark tale. Some of it works, a key switch from the original story allows for at least one wicked performance to watch, and the ending has some extra punch that I quite liked. However, just because you can bring something back doesn’t mean you need to.